Another barnstorming exhibition game, again with the Cubs, took place on October 19, 1913 at Athletic Park. The local team of All-Stars (or "All-Professionals" as called in some circles) in this 1913 match was billed as coming from, or now making their homes, in Milwaukee. That Milwaukee could field a team of home talent strong enough to take on a National League team was a tribute to the ball playing abilities of Milwaukee ball players of that time. The Milwaukee All-Star team was selected by Fred Luderus, star first baseman of the Philadelphia Phillies. 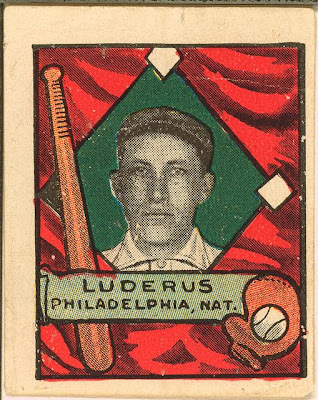 (MS 10-19-13) Luderus was born in Milwaukee on September 12, 1885. He broke into the National League with Chicago in 1909, being purchased by the Cubs from Freeport of the Wisconsin-Illinois League for $2,200 on August 10, 1909. He played with the Cubs in 1910 and was traded to Philadelphia for Bill Foxen, where he would play until 1920. In 1913 he had hit .262 with 18 home runs and 86 RBI. In 12 big league seasons Luderus would play in 1346 games, hitting .277 with 84 home runs. At second base the Milwaukee All-Pros had long time north side Milwaukee resident Walter Bauman. Bauman had played 1910 and 1911 with Green Bay of the Wisconsin-Illinois League. The 1912 season saw him with Keokuk of the Central Association, and he then returned to Green Bay for 1913, where he hit 255 in 88 games (TSL 12-13-13- p15) He would play 1914 in Green Bay, his last season in organized ball. 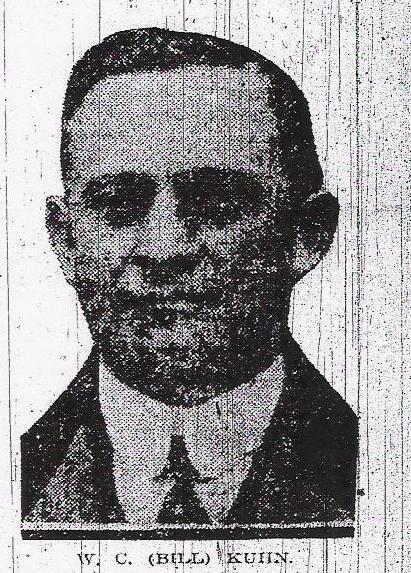 In the Milwaukee Sentinel of February 22, 1914, A.J. Schinner wrote he thought Bauman was the finest all-around athlete in the Milwaukee area. Bauman, 24 at the time, was "Dutch from his heels to the top of his head." Bauman had been a welterweight boxer of some renown in the area but had been out of the boxing ring for two years. By 1914 he was getting back into shape to recover his old form. Bauman's athletic career started back in 1900, when he played ball with some unknown team in the Third Ward. Being Dutch in this cosmopolitan area gave him "a very fine opportunity of working up his fighting instincts" and he soon took up fighting in amateur tournaments at the Milwaukee Athletic Club. As his career advanced, he beat such boys as Jack Sanders, Tommy Gavigan, Billy Morehead, Frank Kuchler and the immortal Sailor Kelly. Bauman was also credited with a six round draw with Jimmy Ciabby. 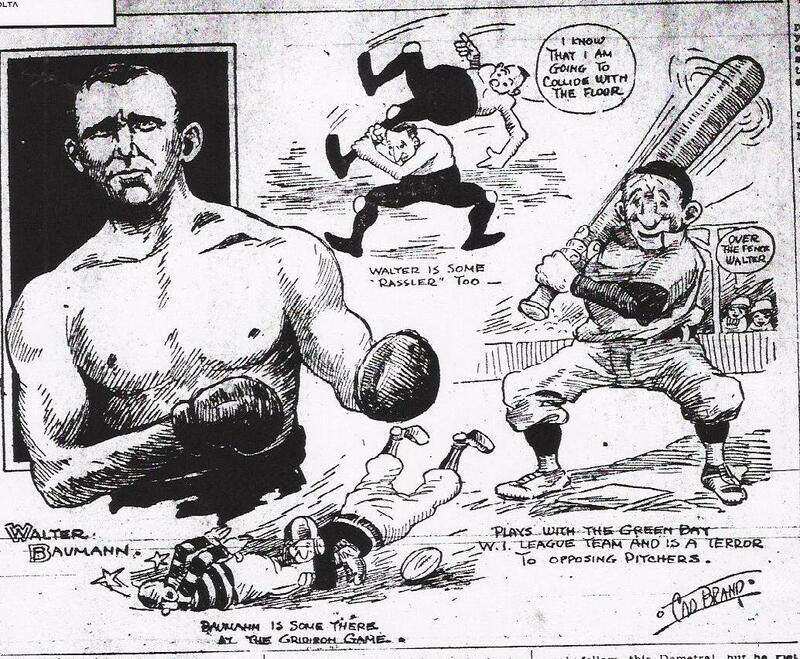 In February 1914 he would be back in shape stopping Jack Lepper in three rounds "of fast milling." But before this boxing comeback Bauman had become very proficient in the wrestling game. He took on all the best boys at his weight, 142 pounds, and defeated most. He wrestled the Greek Demetral at Larkin's gym one night for one hour and forty minutes before winning. Walter was given $7 for this feat and the Greek received $3 for his share of the receipts. As a result of the match, Demetral had two tin ears and was in the hospital for one month. Bauman had also been a swimmer, football player and indoor baseball shark. He used handball as a good conditioner, and he was good enough in the sport to compete in several tournaments at Larkin's gym, winning a few. (MS 2-22-14; MJ 2-27-14) The local star was also a good enough baseball player that in the winter of 1914 the newly formed Federal League approached him. (MS 1-28-14) Bauman did not think his athletic accomplishments any great wonder. He explained that Nature gave him a fine physique and he let himself drift toward sports. (MS 2-22-14;MJ 2-17-14 for all this. Slated for left field was Paul Wachtel. Wachtel had been purchased by the Milwaukee Brewers the previous fall, after winning and losing 14 games with Green Bay as a pitcher. He had also been scouted by Cleveland of the American League, but signed with Milwaukee for 1913. The 6-foot right hander, who was 25 on opening day 1913, had been sent to the Milwaukee Mollys of the Wisconsin-Illinois League for seasoning. He would be 8 and 6 with the Mollys in Milwaukee and transfer to Fond du Lac with the team at the end of June. He finished the season with a 15 and 15 record with the Milwaukee/Fond du Lac Mollys. After his Wisconsin-Illinois seasons Wachtel would go on to pitch four seasons in the Central League with Dayton and Muskegon. Paul Wachtel pitched two games (six innings total) with Brooklyn in the National League in 1917. He posted neither a win nor a loss. Wachtel then stayed in the minor leagues for some time, pitching for Fort Worth in the Texas League from 1918 to 1928. He finished his career in 1930 in the Texas League, splitting time between Waco and Dallas. In nineteen minor league seasons the right hander won 312 games and lost 224. As far as I can tell Wachtel had no other connection with Milwaukee than playing for the Brewers and Mollys. The right fielder, Fred Mollwitz, was born in Koburg, Germany, on June 16, 1890. His family immigrated to Milwaukee when Fred was 4 years old. (MS 3-28-14) At age 14 he was playing baseball with a steam laundry team in Milwaukee. Then he entered the City League as a first baseman. After leading the City League in batting he went to Green Bay in 1910. He did not hit very well in his first two years there, but broke out in 1913, hitting .311 and stealing 52 bases. (MS 3-28-14) Mollwitz was drafted by the Chicago Cubs in September, getting into two games, going 3 for 7 at the plate. (BB-ref and MJ 10-20-13) At 6-2 and 170 pounds Mollwitz was "long and narrow". 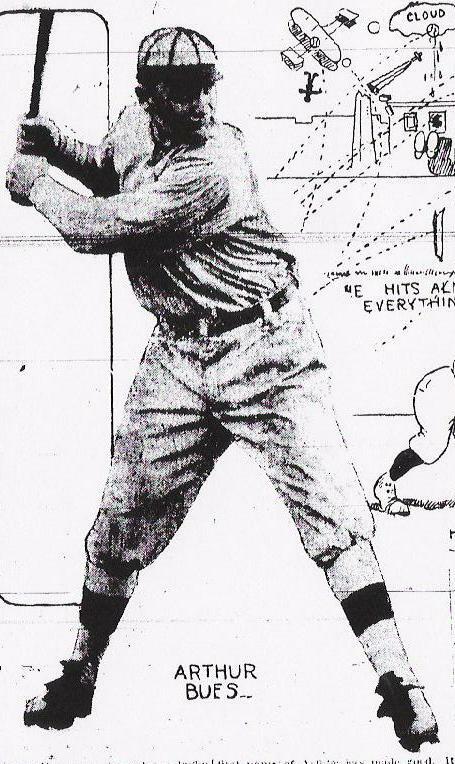 (MS 3-28-14) Joe Tinker said "Mollwitz is one of the best first baseman I ever have seen and he is bound to become one of the greatest in the game." (MS 1-9-14) In the 1913/14 off season Tinker would offer him double the money he signed for with the Cubs to play with the Chicago Whales of the Federal League, but Mollwitz stayed with the Cubs. He would play in the National League with Chicago, Cincinnati, Pittsburg and St. Louis, finishing in 1919 with a lifetime .241 average. 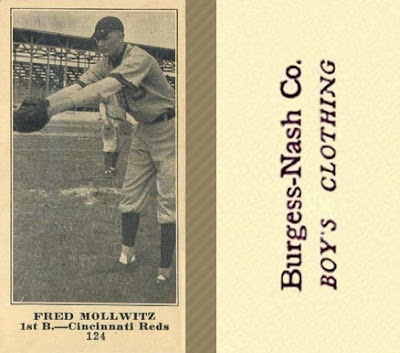 Mollwitz would later play five years in Sacramento of the Pacific Coast League and end his career in 1927 in Moline. The All-Stars' pitcher was Erwin Lange, originally from Forest Park, Illinois. Lange pitched for the Kosciuskos during the later part of the 1913 season and was considered the star of the Lake Shore League. (MJ 10-19-13) It was reported he was thought to be one of the best spitball pitchers around, behind Ed Walsh. He was on the reserve list of the Chicago White Sox, but refused to re reported owing to "a cheap contract." (MJ 2-14-14) He would pitch in the Federal League for the Chicago Whales in 1914, posting 12 and 11 record. Lange was back with the Kozys in 1915.